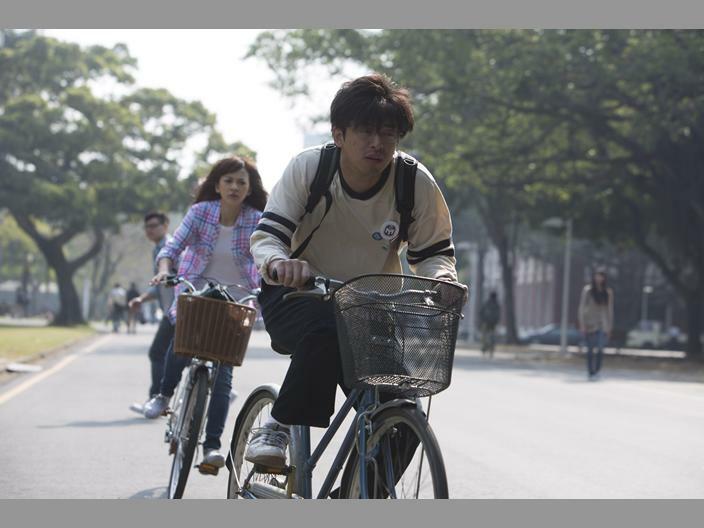 There hasn’t been a lot of news about this movie, but based on the responses on the World Screen Facebook page (where the above pic was originally posted) and on PTT，some netizens had spotted them filming in the National Cheng Kung University. Screendaily.com has also reported some distribution news for the movie with more stills! 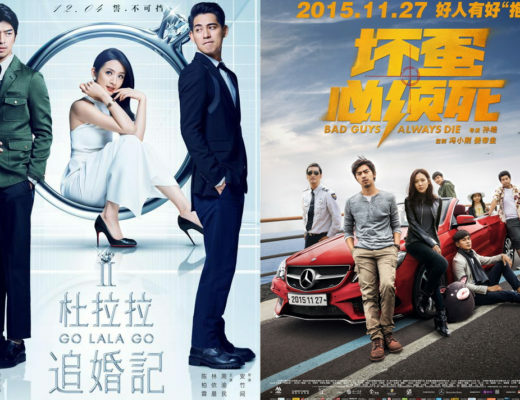 It is produced by Taiwan’s Su Chao-pin and Jimmy Huang, directed by Lai Chun Yu. 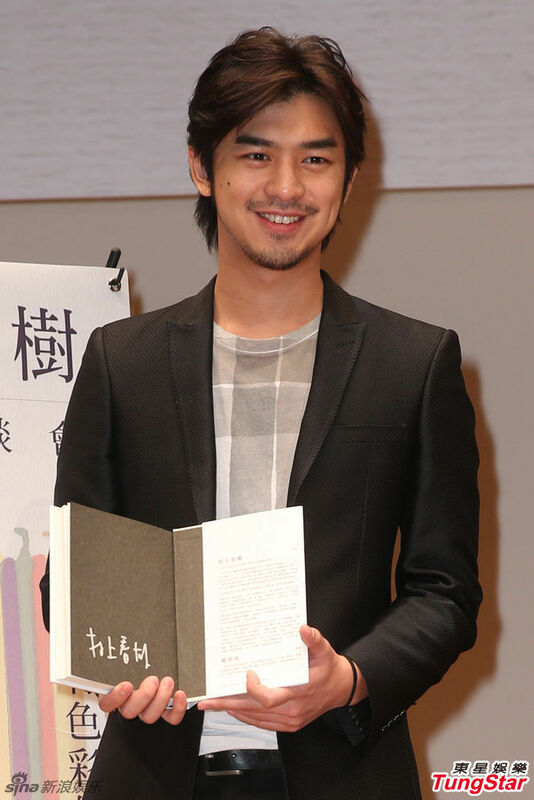 The film revolves around the premise that if two people meet at Lake Chrysanthemum, when the lake has dried up, they are destined to fall in love and stay together forever. The myth is put to the test when a beauty queen bumps into the college nerd on such a night. Looking at the stills, it’s rather hilarious seeing Bolin Chen as the college nerd! LOL. 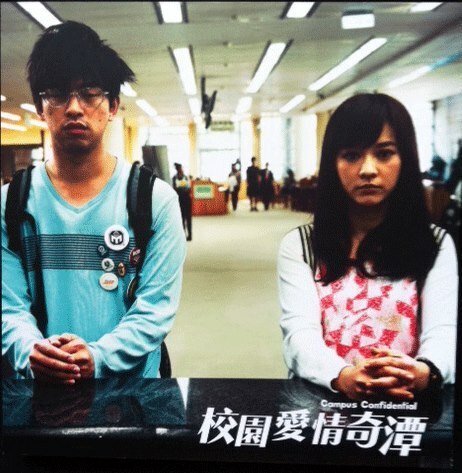 After some Google-ing, it seems this movie’s previous Chinese name was 校園愛情風水奇案 (loosely/poorly translated to be Campus Fung Shui Strange Case) and it was one of the projects submitted for the Hong Kong Asian Film Financing Forum in 2011. There is a very detailed story outline on that website (which of course will differ from the final movie), but it will give you a general idea of what the film is about! A surreal romantic comedy about a young go-getter trying to avoid what looks like a fated relationship with a born loser, Campus Confidential is the second film from award winning director, Lai Chun-Yu, who started his career as a renowned visual effects director in Taiwan, working on big budget films like Silk (2005) and Secret (2007). Willful and stubborn Kitty Liang is an honors student at a university in Taiwan, majoring in law, with the goal of becoming one of the country’s top prosecutors. She has a bright future spelt out for her, just like her textbooks: clear, orderly and with no grey areas. Even her boyfriend is movie-perfect: tall and handsome with a smile like the sun, and a member of the basketball team no less, nicknamed “The Saint”. This lady gets what this lady wants. Out of curiosity, Kitty discovers that the guy standing in the middle of the lake is an Engineering major called Wu Chuan-Shun (his name means “Not everything goes well”). He’s a typical geek with loathsome habits, the type of guy she’d NEVER choose to be with! And so begins the battle of wills. While Kitty does everything in her power to fight fate, her relationship with Wu becomes ever more entangled. Unbeknownst to her, even her boyfriend and roommate will play roles in the upcoming drama. Bolin Chen’s next role could be… a schizophrenic assassin?